Umm Al-Qura University vice presidents have unanimously agreed on the importance of formulating initiatives and qualitative ideas according to the strategies that achieve the goals of the university. This can be achieved through reviewing the prominent initiatives of the vice presidencies of the university to develop the system, the educational courses, and the extracurricular activities to ensure an attractive environment and scientific and research outcomes that suit the needs of the labor market. These matters were discussed during the forum entitled "My University: Confident Steps Towards the Vision." 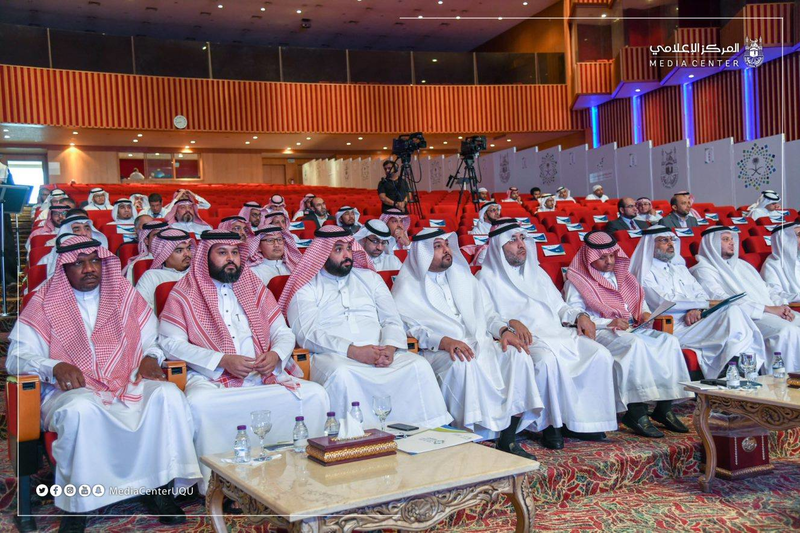 This event was organized by the Initiatives Management and Vision Realization Office at King Abdulaziz Historical Hall in Al-Abdiyyah. During the session entitled "Integration Towards the Realization of the Vision," which was administered by his Excellency the President of the University, Prof. Abdullah bin Omar Bafail, the Vice President of the University, Dr. Yasser bin Sulaiman Shosho, said that the Initiatives Management and Vision Realization Office is a good example of the university's efforts to program its activities and initiatives to achieve the vision. He mentioned the most prominent programs of the vice presidency that contribute to developing the performance of the university staff through specialized training courses and programs to improve their administrative and professional performance. The Vice President for Educational Affairs, Prof. Abdulaziz Suruji, talked about the programs that were organized by the deanships and committees of the vice presidency, starting from receiving new students and informing them about their educational courses and the enriching activities pertaining to them, and ending with following up and measuring their educational levels to offer cognitive support to students who may suffer a shortage in the educational aspects. The vice presidency is also responsible for achieving integration between students and courses through transforming them into e-courses that include interactive activities to develop their cognitive skills through modern means. He ensured that all the plans of the vice presidency undergo accurate development by well-versed specialists to determine the need of the labor market for these programs. 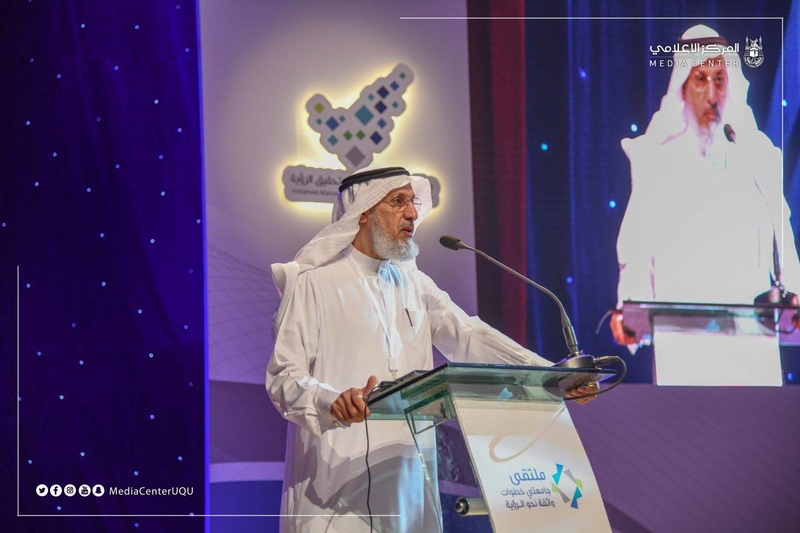 The Dean of Academic Development and Quality, Dr. Muhammad Thabit, pointed out that the Graduates Unit Initiative has contributed to improving teaching and learning quality through promoting communication with graduates to discuss university outcomes, educational programs, and student support services offered by the university. The latter is considered to be the optimal one in observing the notice about the services offered by the university. He tackled the importance of communication with employers to achieve feedback about the performance of graduates in the duties they are consigned with to create training programs that contribute in developing scientific outcomes. His Excellency the Vice President of the University for Postgraduate Studies and Scientific Research, Dr. Thamir Al-Harbi, talked about the role of the vice presidency in developing and updating the programs pertaining to postgraduate studies and carrying them out in a way that is in line with the ambitious vision. This helps to provide an encouraging research environment and postgraduate programs that contribute to serving the country with high quality and qualitative distinction that guarantees sustainable development. He ensured the promotion and international publication of academic staff research. The University Vice President for Branches, Dr. Abdul-Majeed Al-Ghamdi, acknowledged the contributions of the vice presidency in endorsing national objectives and attracting pilgrims and visitors through the services of the new university museum that includes displaying ancient antiquities and coins that reach three thousand pieces. Moreover, the vice presidency has agreements with governmental bodies including the Saudi Commission for Tourism and National Heritage. The Vice President for Female Student Affairs, Dr. Sarah Al-Khuli, pointed out that the vice presidency has made tangible efforts to keep pace with the strategies and plans of the university that achieve integration through enabling leaders to exchange information about the issues relating to the performance of the vice presidency, development of its programs and goals, equality of educational opportunities among students, following up of registration mechanism, and reception of suggestions and dealing with them with a high degree of professionalism. Moreover, the vice presidency undertakes the process of developing the educational environment, supervises the readiness of buildings, and prepares halls and infrastructure. These things have a great effect on the educational process, and preparing a generation capable of engaging the labor market with high professionalism that reflects the objectives of the university. In his speech that he delivered after launching the website of the Initiatives Management and Vision Realization Office and its Social Communication Platforms, His Excellency the President of the University, Prof. Abdullah Bafail, applauded the efforts of the university in achieving the programs and goals of the ambitious vision by building a sustainable system that seeks to integrate all the efforts of its entities and achieve cooperation among them to develop the fields of learning, teaching, research, development, creativity, and entrepreneurship. He added that this will contribute to serving both individuals and the community and qualifying outstanding graduates to create qualitative initiatives that are in line with the vision and improve its administration for the sake of achieving international competitiveness. Prof. Bafail praised the steps followed by Initiatives Management and Vision Realization Office in transforming the future aspirations of the university into a tangible reality through supporting the creative environment and the formulation of the strategic initiatives to develop its outcomes for the sake of achieving a vital community, prosperous economy, and ambitious country. 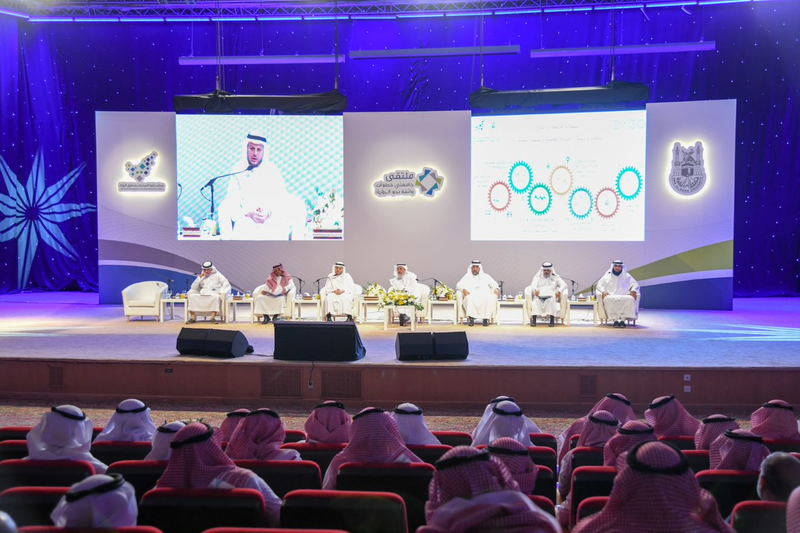 The activities of the forum included a presentation on the programs of the vision, and the method of offering the related initiatives. The General Supervisor of Initiatives Management and Vision Realization Office, Dr. Ehab Malibari, conducted a seminar in which owners and certified initiatives managers participated to inform the attendants about their formulation and display their experience in developing and approving ambitious ideas to put them into practice.